We teach an old Northern Shaolin Long Fist style called Huaquan (Glorious Boxing, or Boxing from Hua Mountain Region in China). It was one of four styles introduced to Shaolin by General Zhao Kuangyin (Emperor Tai Tzu) during the Sung dynasty (960 – 1279 AD). It was once again brought back into the Shaolin Temple by Master Bai Yu Feng (original founder of the Shaolin 5 Animal System) during the Ming dynasty (1368 – 1644 AD). When Master Feng was searching through the old records in the Shaolin library on martial methods he found great styles like Huaquan and was inspired to revive them back into the Shaolin training curriculum. With its swift and fully extended techniques, Huaquan has elegant stances with many kicking techniques. It has smooth and rhythmic changes with many mid to close range techniques that can be used for seizing, controlling and throwing. Huaquan also has many partner sets and drills, making this style not only beautiful but also practical for self- defense. The practice of Huaquan will stretch and strengthen the limbs, correct bad posture, and teach full body awareness, while developing quick and graceful movements along with a sense of inner peace and confidence. 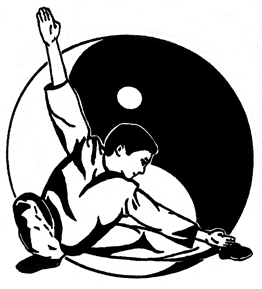 And achieve something great: build power, endurance, speed, and flexibility as you join us in the study of Huaquan, an ancient style of Northern Long Fist Kung Fu.